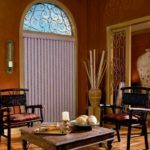 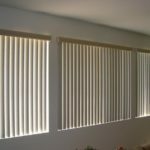 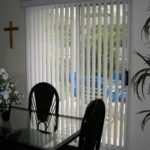 Mini blinds are horizontal aluminum blinds that are a lightweight, traditional, and low cost window treatment available in a spectrum of colors. 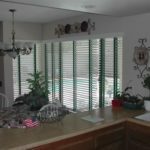 Horizontal aluminum blinds in a 1" slat are known as "mini blinds" and horizintal aluminum blinds in a 2" slat are known as "venetian blinds." 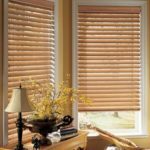 Mini blinds are available in 6 and 8 gauge aluminum and offer classic clean lines while providing privacy and reducing sunlight. 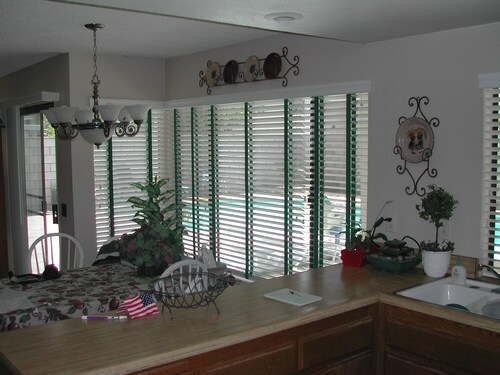 Mini blinds come with an aluminum headrail, decorative valance, baked on enamel with a scratch resistance finish and child safety tassels. 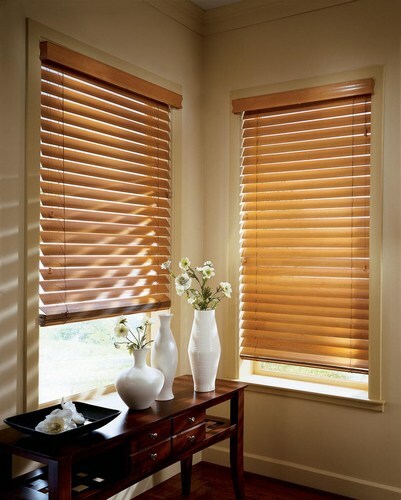 Mini blinds are used for residential and commercial applications as they are known for their 5% stackability. 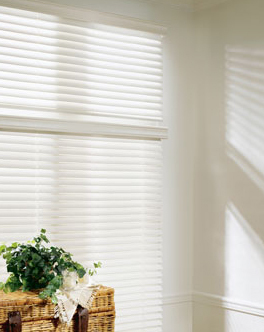 Ask about our new "Magic wand" upgraded tilt mechanism that is changing the look of mini blinds across the nation! 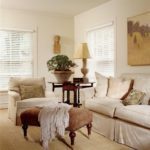 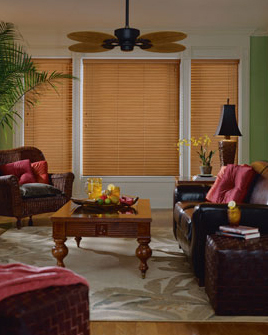 Faux wood blinds are no longer the plastic looking blinds of the past. 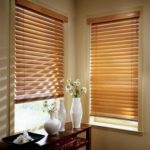 Faux wood blinds are commonly called "fake wood" blinds because they look so much like real wood but cost about 15-25% less. 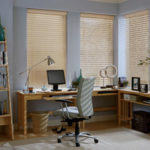 Faux wood blinds are easy to maintain and won't warp, crack or peel from moisture. 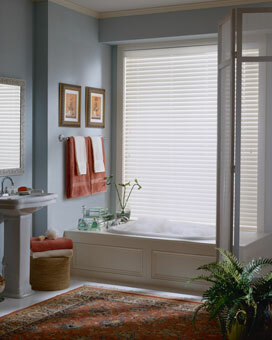 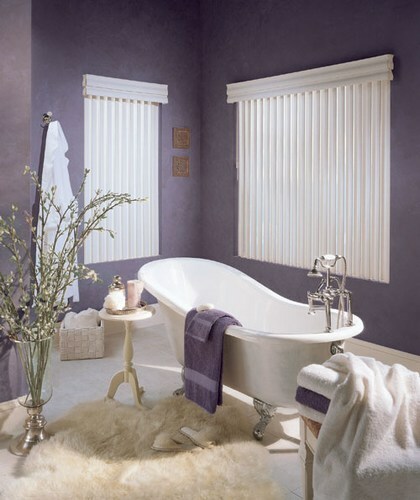 Faux wood blinds are great for areas of high moisture like bathrooms and where water is prevalent like kitchens. 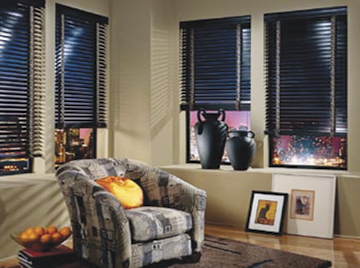 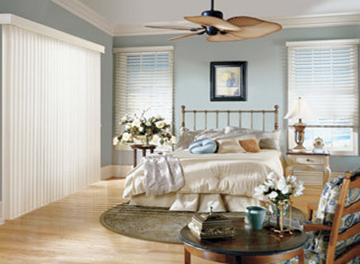 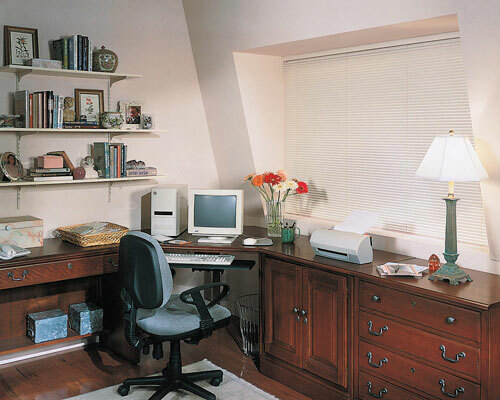 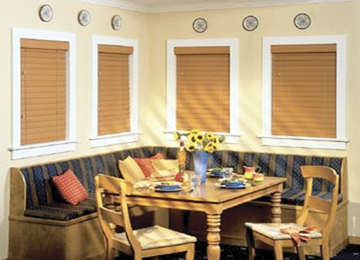 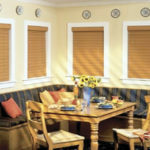 Faux wood blinds are commonly used throughout homes and occasionally in commercial applications. 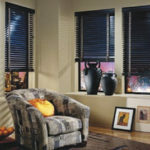 Faux wood blinds are our biggest seller as they are affordable, attractive, and offer a clean look. 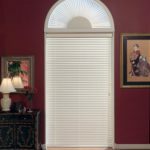 Our faux wood blinds come with a crown molding valance with metal valance clips which will never break like plastic clips do. 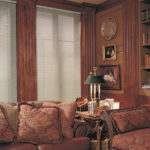 Our signature crown molding valance with returns has really improved the look of a classic faux wood blind. 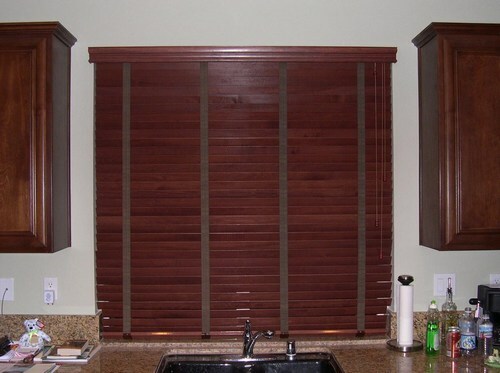 We offer a strong metal headrail with metal to metal gear ratio along with metal drums and tilt bar to make our faux wood blind the strongest on the market. 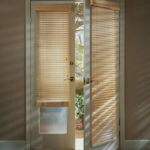 Our child safety tassels have been a nice addition and important to keep children and pets safe. 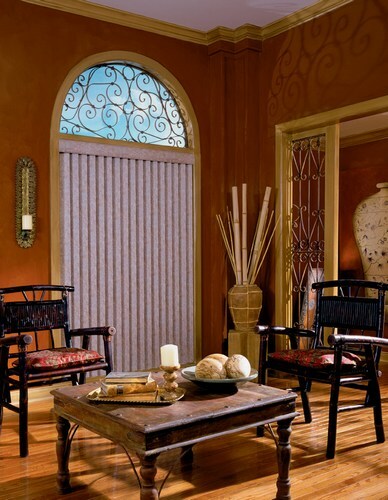 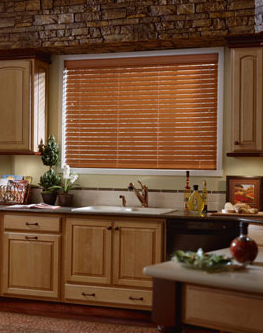 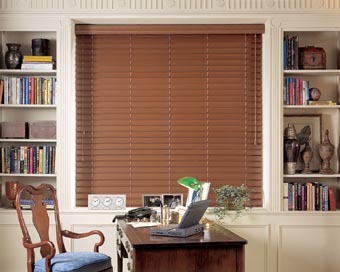 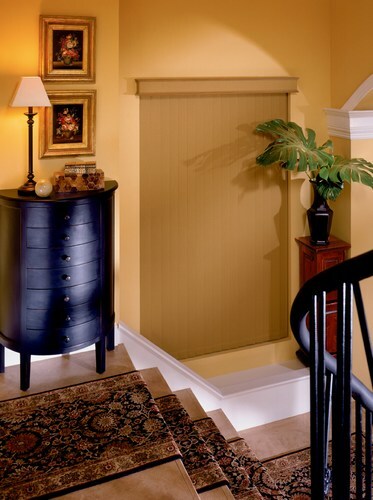 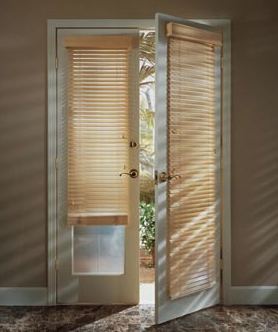 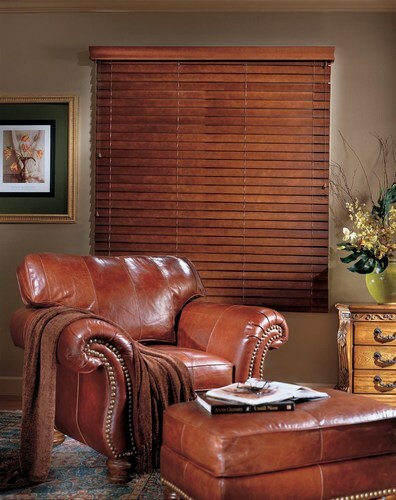 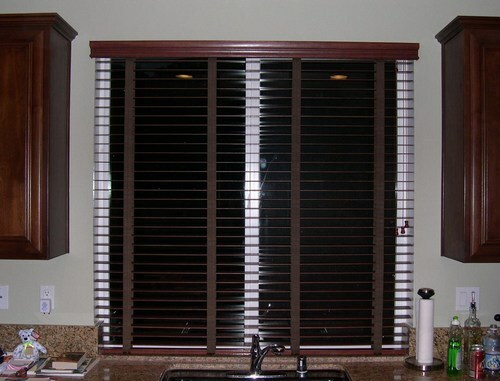 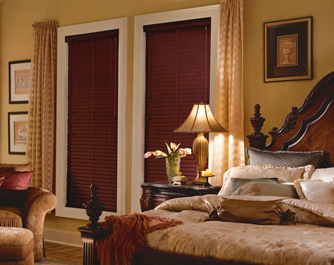 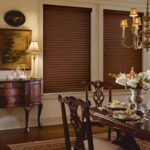 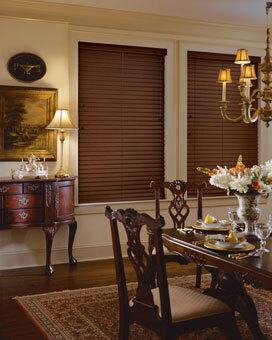 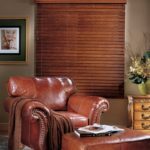 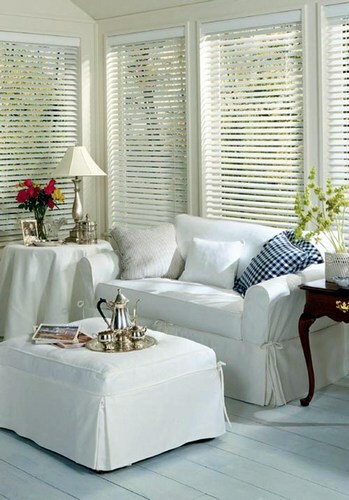 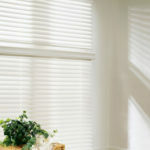 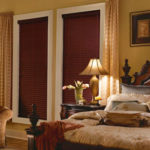 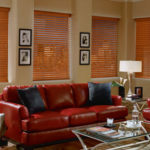 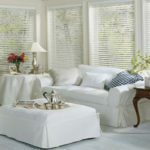 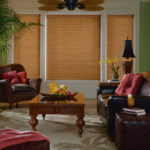 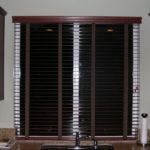 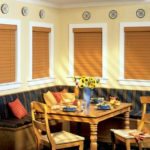 Faux wood blinds are available in 2", 2.5" and 3" slats with either a smooth or textured finish. 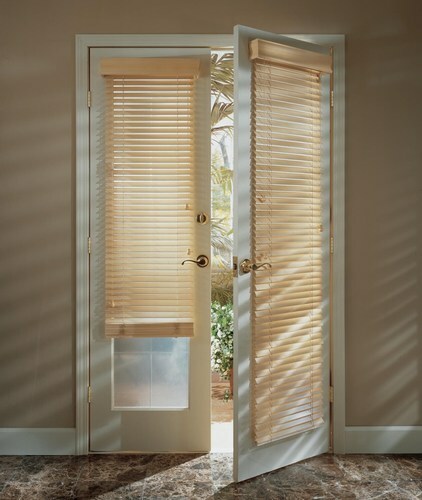 Ask about our no holes routless option, industry changing metal valance clips, hidden magnetic valance clips as well as 2-on-1 and 3-on-1 options. 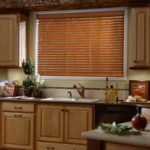 Horizontal Wood blinds capture the rustic outdoors with distinctive grains and inherent characteristics that only wood can provide. 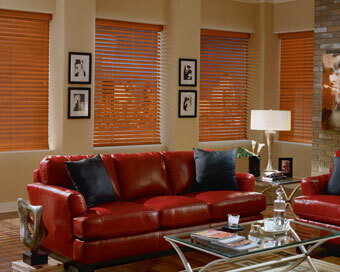 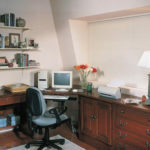 Many customers have commented that wood blinds bring warmth and beauty of nature into their homes. 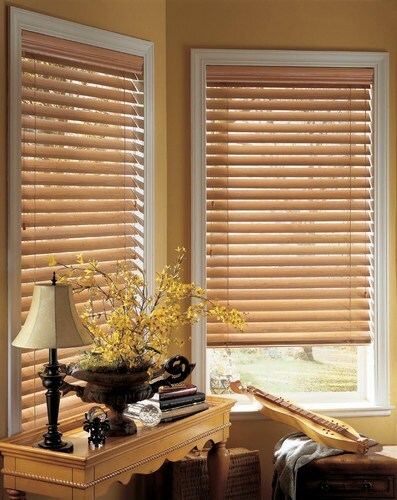 Wood blinds are a classic look made with premium natural hardwood like our ever popular basswood line. 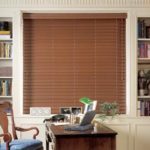 Each wood blind provides a warm and inviting look with a painted finish and matching crown molding valance in popular colors such as bright white, white, almost white, off white, alabaster and natural. 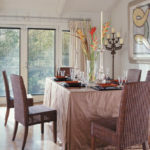 Our richly stained finishes are available in canyon oak, maple, cherry, dark walnut, golden oak, pecan, dark cherry, mahogany, warm cherry, walnut, raven and sage stains. 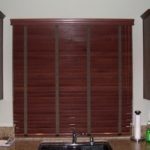 Many customers use wood blinds to match their cabinets or furniture and some consider wood blinds as a great alternative to shutters. 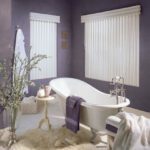 Our wood blinds come with the ever popular crown molding valance as well as metal valance clips and are available in 2", 2.5" and 3" slat options. 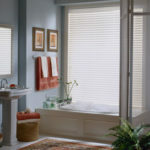 Speaking of options, ask about cloth tape, motorization and routeless applications. 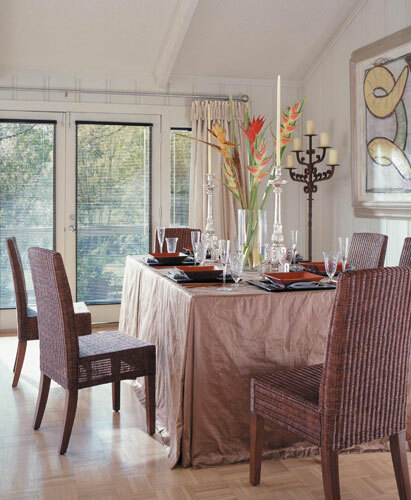 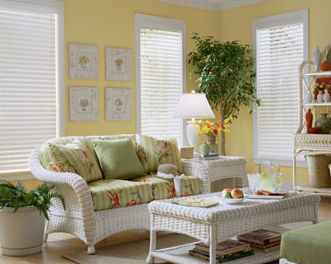 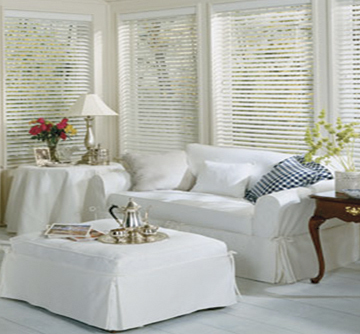 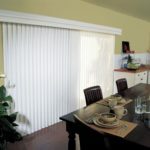 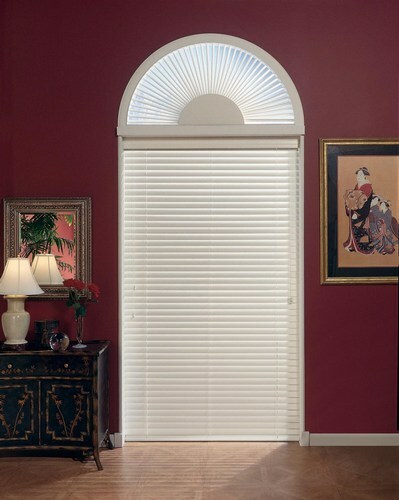 Vertical blinds are the traditional choice for sliding patio doors and large windows. 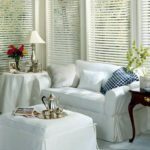 Available in a wide variety of styles and materials, vertical blinds can suit almost any decor requiring a functional yet elegant window treatment solution. 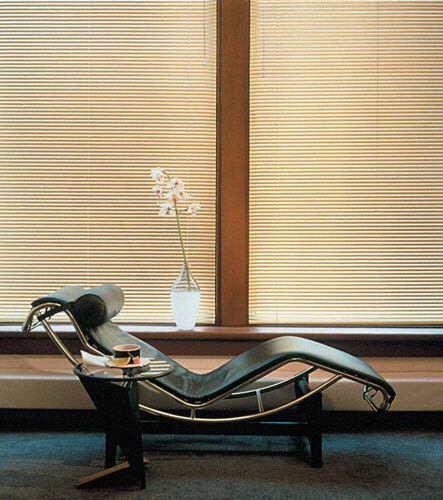 Whether you are looking for energy efficiency, light control or simply to preserve a beautiful view, these blinds are a great versatile and functional solution. 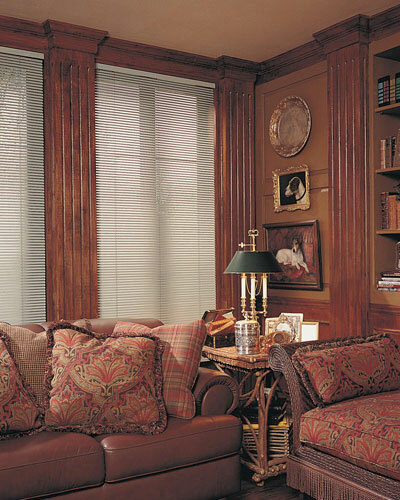 We are also able to coordinate verticals to horizontals by having matching valances which tie the jobs together wonderfully. 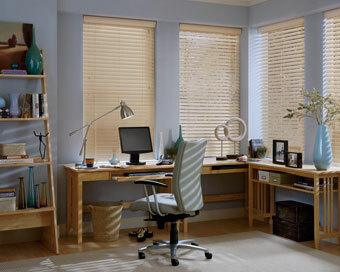 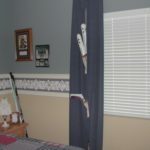 Many customers like that vertical blinds are easy to clean as they do not create a shelf for dust to rest on. 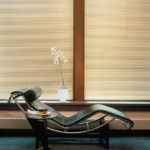 Vertical blinds are available in 3.5" widths and available in easy to clean vinyl, warm fabrics or a combination of both. 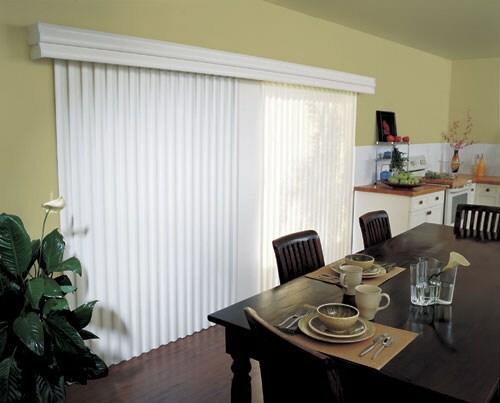 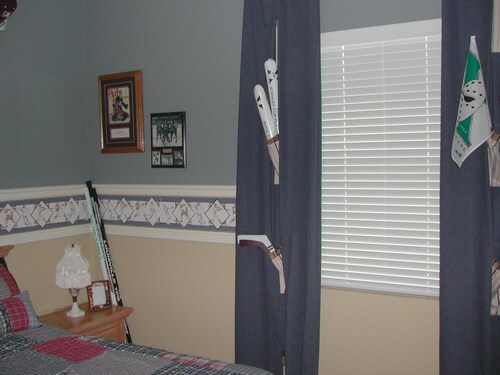 Our verticals come with a 1 piece bullnose wrap valance to ensure the returns dont fall off like our competitors. 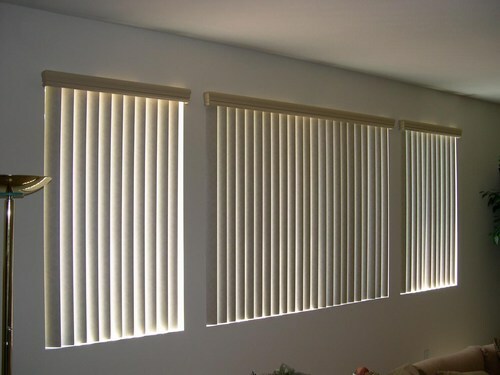 Vertical blinds are available as a chain and string mechanism as well as the ever popular wand option. 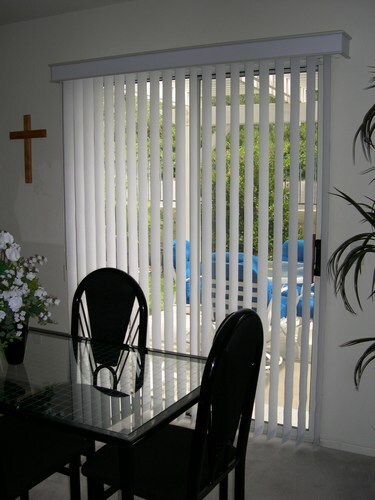 All of our verticals come with child safety in mind as do all of our products. 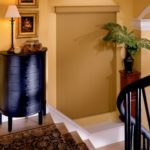 Ask about our S-curve vertical vanes, unlimited textured patterns and colors and our industry leading 1 piece bullnose wrap valances.